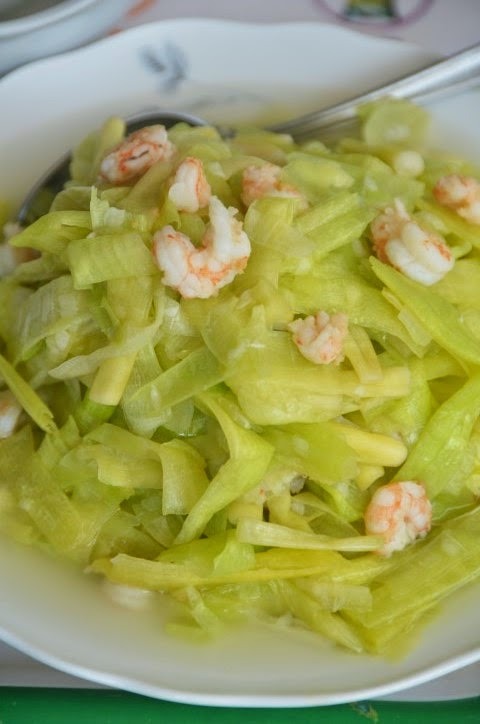 Củ năng translates to Chinese water chestnut in Vietnamese. 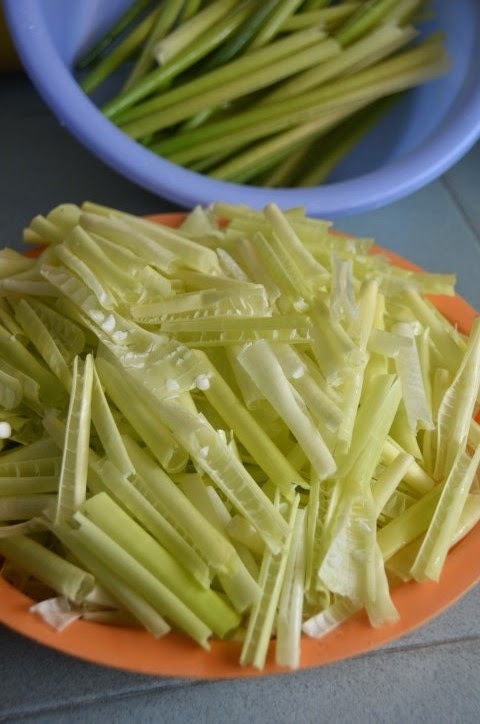 In this region of Soctrang, Vietnam, my family enjoys eating the young tender stems. 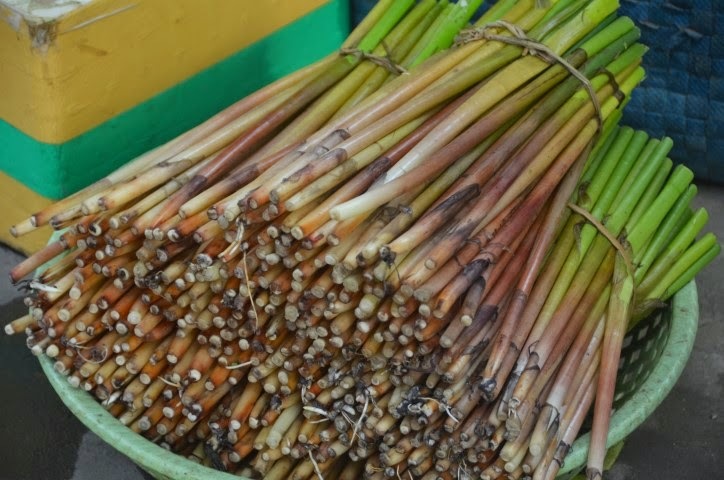 My cousins, Sieu Ken and Khai describe to me how people harvest these. 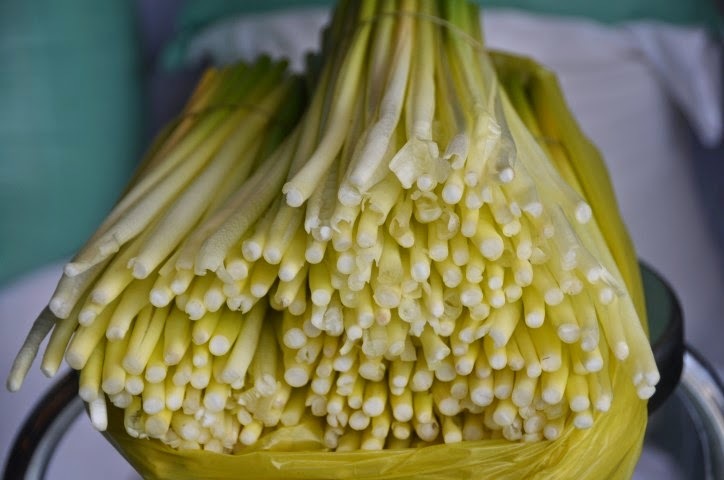 The farmers cut these at the base and use a toothpick to split the center of the stems to get to the tender central parts. When you buy these stems you eat only the bottom 3 to 3 1/2 inches of the most tender cream colored section located at the base. It is best to use your fingers to pinch off the most tender parts into the lengths you prefer. The rest will be tough so most people usually discard them. 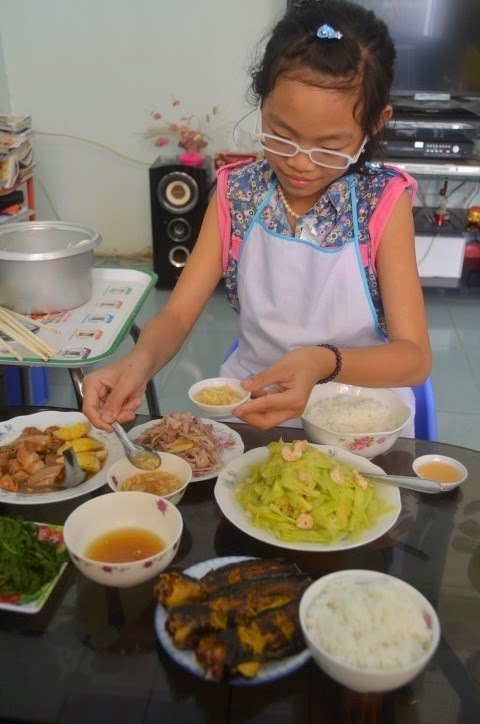 I visited Sieu Ken and her daughter Linh in Soctrang and we made mostly food found in the countryside. 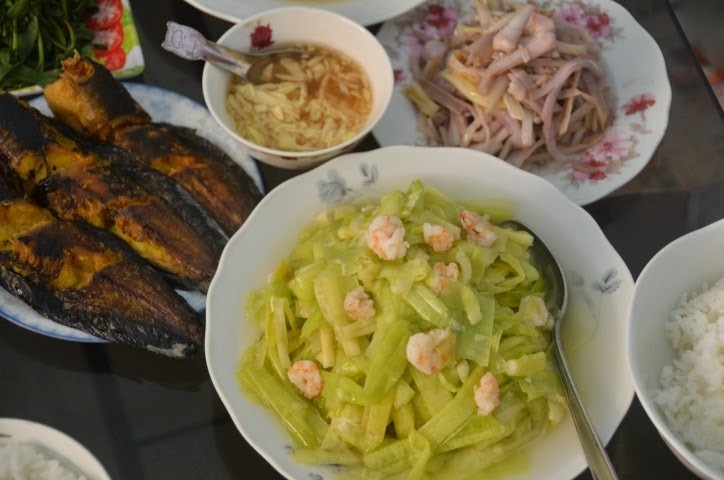 These simple items are readily available in the market and happen to be our favorite type of food! 2) Add garlic, saute for about 30 seconds to a minute. 3) Add shrimp and saute until the liquid is gone. Put the shrimp aside. 4) Add chestnut stems. Saute about 5 minutes or until the stems are wilted to your liking. 4) Return the shrimp. Season with salt, fish sauce, and sugar to taste. Stir and turn off heat. *I used about 1/4 tsp of salt, 2 tsp of fish sauce and 1 tsp sugar. work to get to the central tender parts when you get home. Buy extra since you will discard most of these! I don't recommend buying these. These are already quite cleaned and prepared. (which is the lighter parts) and discard the rest. Wash well when you get them home. to do in the kitchen!